I don’t know about you, but I am very glad to see January coming to an end. It seems to have been a very long, dark, wet, dismal month. 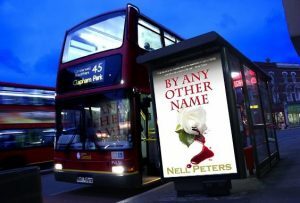 What better way to cheer us up than to read Nell Peter’s end of the month round up? Time for a cuppa and five minutes with m feet up I think. Hello! How’s it going, old fruits? Broken all those New Year resolutions yet? 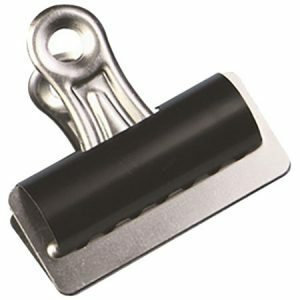 That’s the bulldog clip spirit. 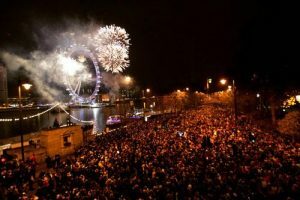 A fair bit of that there spirit was required on NYE for anyone attending the London Eye fireworks. As I mentioned in my Dec 31st blog, the OH and I met up with three sons and a GF (#3 made it from Bangkok/Heathrow in good time!) to watch the display and stay over in Docklands. Next year, we will just do the hotel thing and watch the fireworks on TV – much safer! We knew something was definitely amiss as we walked toward our entry point and met masses of people who were determinedly heading in the other direction. Never a good sign … They had the right idea, because very soon we hit the huge tailback to the entrance bottleneck, where people were waiting for literally hours to make it through security and ticket verification. A zillion crushed bodies were being pushed in whatever direction those behind chose. 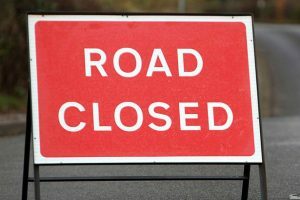 Felt sorry for the GF, who is only 5’3” and spent rather too long with her nose stuck in the back of whoever was in front of her – and none of us could see kerbs up or down, or the various Road Closed signs strategically placed in order to inflict maximum injury. Then there were the lethal baby buggies, despite the web site clearly stating that the event was unsuitable for children. We made it through to our allotted area on Embankment with just a few minutes to spare before the whizzes and bangs started, and in no time had to rejoin the crush to make it out again, herded by marshals who had closed off a ridiculous number of exit roads, apparently on a whim. One hundred thousand tickets were sold at a tenner each, so that’s £1M – I think a few quid of that could be spared for better organisation? We used to take the boys before it became a ticketed event and it was all very civilised and secure, with a much better and relaxed atmosphere. #4 son was particularly disillusioned, because he so fondly remembered our visits when he was a young’un and wanted to recapture the experience. Been chilly enough for you? Yours truly’s timbers have most definitely been shivering. 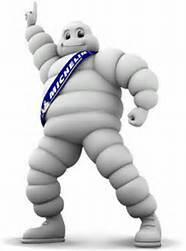 I feel the cold really badly – in summer I always wear several layers more than everyone else, and from September through to May I do a pretty nifty impression of Michelin Man, even indoors. Readers as ancient as me will remember the infamous winter of 1962-3, aka the Big Freeze. The beginning of that December was very foggy, with London encased in its last real smog before the Clean Air Act (1956) and the decline in coal fires had a real impact. These were the pea-soupers that Hollywood directors still appear to think are a typical and atmospheric part of London living, especially if Jack the Ripper happens to be lurking around the corner. 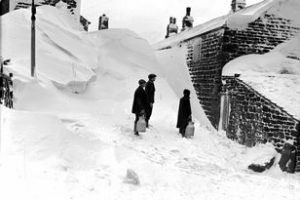 Snow fell over the UK on 12/13th December 1962, and an anticyclone formed over Scandinavia on 22nd, drawing cold continental winds from Russia. Over the Christmas period, although the Scandinavian high collapsed, a new one formed near Iceland, bringing northerly winds and significant snowfall to southern England late on 26 December and into 27th. I remember my elderly maternal grandparents were staying and wisely made no attempt to return home to Wimbledon (from Twickenham); in fact, they were still with us several weeks later, as the treacherous conditions were extended by further heavy snowfalls and freezing temperatures until March 6th. But elsewhere, the bulldog clip spirit was snapping very much into action – the beginning of January meant a return to school, a bus trip or one stop on the train for me. We’d never heard of Snow Days – as declared nowadays at the drop of a regulation brown velour school hat; perish the thought! No wellies allowed, we slipped and slid our way hither and thither in regulation outdoor shoes – dreadful clumpy brown lace-ups with leather soles that held no purchase whatsoever, our spindly legs encased only in white knee length socks. Brrrr! 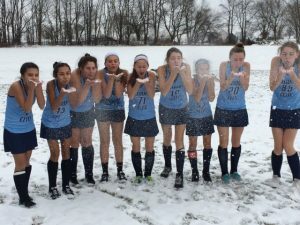 PE and Games carried on as normal – we gels jogging up and down the frozen hockey pitch in ridiculously thin culottes, trying to restore blood flow to our extremities, whilst the games mistress stood on the sidelines, barking orders and blowing her whistle, clad in a huge sheepskin coat and fur-lined boots. ‘Tis a wonder any of us survived – no ChildLine then to come to our rescue. 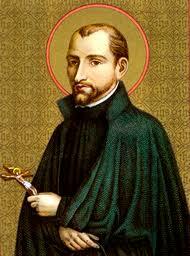 On this day in 1597, John Francis Regis, French priest and saint was born – interesting occupation to have listed in your passport, if that were still a requirement (hasn’t been since 1982). John F died in 1640, thirty three years before another French priest and saint was born on 31st Jan – Louis de Montfort (died 1716). Say what you like, the French seem to have cornered the priest/saint market. Having run out of French deities, let’s nip forward in time to the births of some people we may actually have heard of, starting with American Constance (Connie) Booth, writer, actress, comedienne and since she gave up acting in 1995, psychotherapist. Born in 1944, she has seventy-four candles on her cake today. Connie was married to John Cleese for a decade from 1968 – she appeared in various Monty Python productions and both co-wrote and played the part of Polly the waitress/chambermaid in Fawlty Towers. Away from comedy, she starred in the title role of The Story of Ruth (1981), portraying the schizophrenic daughter of an abusive father – a performance for which she received critical acclaim. Maybe that sparked her interest in psychotherapy … maybe not. Actor Anthony LaPaglia was born in 1959, although not as you might expect in the US, but Adelaide, South Australia – the inverse of Mel Gibson, who was born in New York, but sounds Australian, after his family relocated there when he was twelve … or is that just me? Back to Anthony – a keen amateur goalie (Association Football), to earn a crust he has been in many series, including Murder One and Without a Trace, but was unable to take up the role of Tony Soprano due to other commitments. His younger brother, Jonathan, did appear in an episode of the Sopranos however as Michael the Cleaver – possibly not someone you’d want to meet in a dark alley. Jonathan followed his brother to the US and into acting, because he felt ‘restricted’ as an emergency room doctor. Go figure. 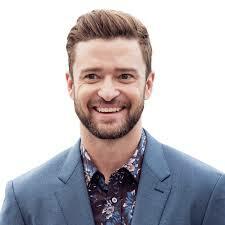 A year after Justin Timberlake was born on 31st January 1981, 1982 produced a bumper crop of bonny babies who all have one thing in common – I’ve never heard of any of them. In no particular order, they are Maret Ani, Estonian tennis player; Yuniesky Betancourt, Cuban baseball player; Jānis Sprukts, Latvian ice hockey player; Yukimi Nagano, Swedish singer-songwriter; Brad Thompson, American baseball player; and a trio of footballers, Andreas Görlitz (Germany), Salvatore Masiello (Italy), and Allan McGregor (Scotland). Phew! Moving along, broadcaster Terry Wogan died two years ago today, four years after the magnificently-named Tristram Potter Coffin, who didn’t quite make it to his ninetieth birthday on 13th February. His older sister was called Trelsie Coffin Buffum Lucas (1918–1987) – you don’t get many of those to the pound, I’m guessing. Through his father, TPC was a direct descendant of the Tristram Coffyn who was one of the original permanent settlers on Nantucket Island in 1660. Arriving in Massachusetts from Brixham, Devon, in 1659, he led a group of investors who bought Nantucket from Thomas Mayhew for thirty pounds and two beaver hats. Brilliant! 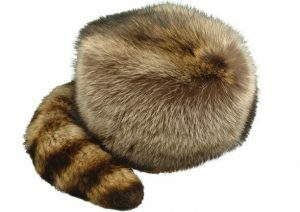 He became a prominent citizen in the settlement and a number of his descendants established their importance in North American society, even without inheriting those all-important furry hats. For example, Sir Isaac Coffin (1759–1839) served during the American Revolutionary and Napoleonic Wars and became an admiral in the British Royal Navy. Descendant Charles A Coffin (1844–1926) was co-founder and first President of the General Electric Corporation, and then a member of the ninth generation, one Robert P T Coffin (1892–1955), was an American poet who won the Pulitzer Prize in 1936 for his book of collected works, called Strange Holiness. Quite a dynasty. 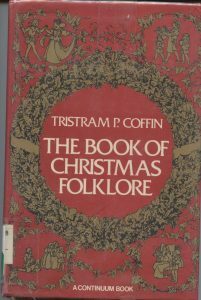 And the Coffin I started off with was no slacker – he was a folklorist and leading scholar of ballad texts in the 20th century. He spent much of his career at the University of Pennsylvania, where he was a professor of English and a co-founder of the Folklore Department. He published twenty books as well as more than a hundred scholarly articles and reviews. Way da go, Tris! 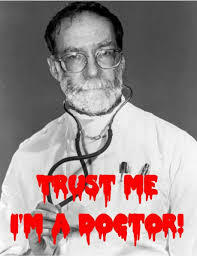 This day in 2000, GP Dr Harold Shipman was found guilty of murdering fifteen of his patients, making him Britain’s most prolific convicted serial killer – in reality, he is thought to have killed somewhere around two hundred and fifty people (the majority women) aged between forty-one and ninety-three, over a period of twenty-four years. Born the middle child of a working class family in 1946, Harold was known by his middle name Fred(erick), and was the favourite child of a domineering mother, Vera. She instilled in him a sense of superiority that tainted most of his later relationships, leaving him an isolated adolescent with few friends. When his mother was diagnosed with terminal lung cancer, he willingly oversaw her care as she declined, fascinated by the positive effect that the administration of morphine had on her suffering – in terms of his future method of dispatch, the die was cast. Mum succumbed to her illness in June 1963 (just after the Big Freeze thawed!) Devastated by her death, he was determined to go to medical school, and was admitted to Leeds University for training two years later, having failed his entrance exams at the first attempt. By 1974 Harold had joined a practice in Todmorden, Yorkshire, where he initially thrived as a family practitioner, before becoming addicted to the painkiller Pethidine. He forged prescriptions for large amounts of the drug, and was forced to leave the practice and enter a drug rehab programme, when caught out by his colleagues a year later. An inquiry led to a fine and a conviction for forgery, but he wasn’t struck off by the General Medical Council – they merely wrapped his knuckles in a stiff warning letter. Big mistake. 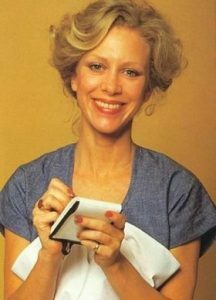 I imagine Connie Booth would agree that in many ways Shipman is an analyst’s dream – middle child syndrome; overbearing mother; egocentric; lack of compassion for his victims; lack of conscience etc. etc. He obviously thought he was invincible, as he worked his way through his mostly elderly case list, eventually coming to grief only when the lawyer daughter of one of his victims smelled a big fat juicy rat because a second will emerged, leaving everything to Shipman. She had always handled her wealthy mother’s affairs, so alerted authorities and the investigative ball was set in motion. The doctor hung himself in his cell on the eve of his fifty-eighth birthday, ensuring that his wife Primrose (who had quite possibly parachuted into the domineering female role vacated by his mother) received the maximum pension payout, since he died before he was sixty. Morally questionable? I couldn’t possibly comment. 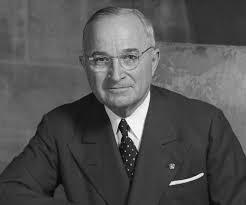 As Franklin D Roosevelt’s Vice President, another Harold – well Harry, actually, as in Harry S Truman, (OK, a bit of a stretch there!) had been inaugurated into the post of chief banana when FDR died suddenly. This day in 1950, as 33rd (Democrat) President of the US he publicly announced support for the development of a hydrogen bomb. Scary. 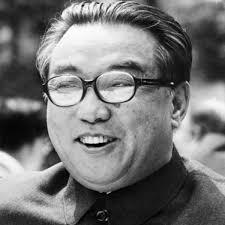 But perhaps he’d been consulting his crystal ball, as in June that year, the North Korean army under Kim Il-sung (are they all called Kim?) invaded South Korea, starting the Korean War; plus ça change, plus c’est la même chose. With that stunning demonstration of linguistic ability, I’ll bid you adios, amigo. Thanks Nell! So glad to have this month ticked off the list! Let’s hope February gives us the chance to warm up and put the umbrella’s away for a while! Except that mine was navy blue, our uniforms sound exactly the same: velour hat in the winter, panama in the summer, sports culottes, no boots or wellies, and sliding along the pavement (vivid memory here) in my brown lace-ups. Had to change into “house shoes” at school. Were they all like that? Mine was in Clapham on the edge of the common. Oh yes, Lesley – regulation indoor shoes, regulation outdoor shoes… We had the ghastly velour hats for winter, boaters for summer and a brown beret for anytime it rained. Judy Astley and I in the same Form at our school in Twickenham. Fun read. Yes school whatever the weather, PE whatever the weather. Doing homework in a bedroom with Jack Frost on the inside of the windows and the only fire (coal) in the main sitting room. We were made of tough stuff back then. Still are. Walking to school whatever the weather 2 miles there and 2 back come rain shine or snow. My school was in a village surrounded by woodland so for short buts we walked through the woods, along the fence which kept the Broadmoor patients on the right side, in the fields they worked. Now everyone new to the village, wants the siren tests stopped (Mondays 10am) and the once lunatic asylum now hospital, closed down. They think it is dangerous. How did we survive I wonder!